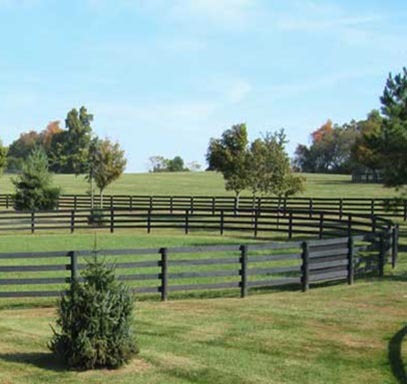 There are many different types of fencing available to a farm owner. So lets just break down the pros and cons of each type. 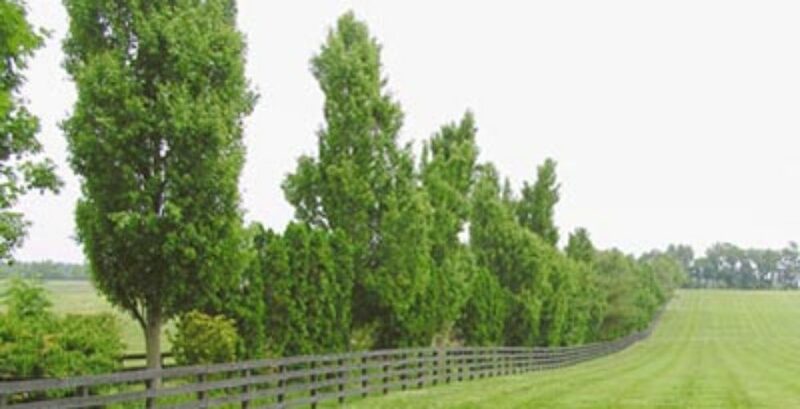 I have put in about every type of fence you can think of and a few you probably haven’t even heard of. Since we are mostly dealing with horses that is the viewpoint we will discuss. If you are talking about cows, then cattle wire and electric is the best way to go. 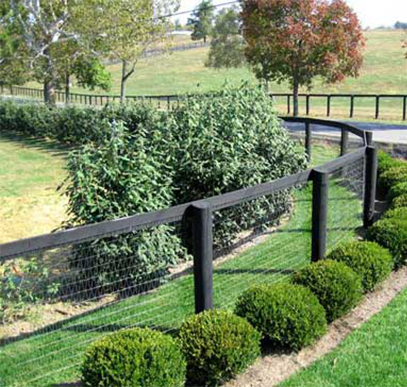 If safety is your number one priority then there is no reason to look any farther, Centaur is without a doubt the safest fence that you can get right now. This is the number one reason that Darley Farms went with it when they started building Jonabel. My father Russell Dennis was taking the main decision maker John Ferguson for a tour at another Centaur job we did at Peninsula Farms in Georgetown. Dad had spent many meetings with John trying to explain to him just how much safer and better Centaur was than regular old board and wire fence. When he took him to Peninsula Farm and they pulled up to the barn they had just turned their yearlings out for the afternoon. Well as yearlings will do one of them managed to rear up and jam its front leg right down in the fence between the top and second rail. However – because this fence was polymer and not board – the horse just hopped around a little bit and jerked his leg out with not a scratch on it, and no breaks it was basically a non-event. As soon as John saw that he didn’t hesitate he told dad that was what he wanted, period, end of story. Dad said later on that it was like he scripted it to happen that way. People just can’t imagine that polymer fence could be so much safer but if you have ever paid for a injured horse then you can guess. 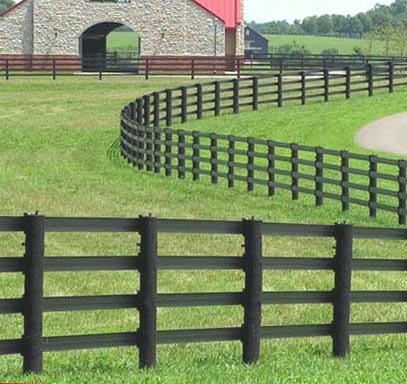 Now not everyone has unlimited pockets to build vinyl fence so that leaves boards or wire.If you want a lot of curves then the only choice is boards since they can be curved without any extra steps being taken, just drive the post and hang the boards. Wire can be curved but it costs extra. It also costs extra to start and stop wire since it has to be braced anytime it is terminated. Of the two, board fence is also easier to repair. If a tree falls on it just take off the bad boards and replace them. Wire fence on the other hand has to be spiced back into the fence and stretched again. So its not really good to have wire along roads or tree lines. Between boards and wire, wire would be the safer bet since it does have some give to it, and boards really have none at all. Wire will also keep the horses from putting their legs or heads between boards and possibly injuring themselves that way. Wire will of course require less maintenance than boards and will last a lot longer. I have taken wire down that was about 20-25 years old and reused it on a different farm and it works just as good as new. Boards really have about a 25 year max life in them, if you get some really good ones.